It is a moving meditation and is part of the technology of Kundalini Yoga as taught by Yogi Bhajan. Celestial Communication is composed of choreographed arm and hand movements to mantras or other spiritual songs. 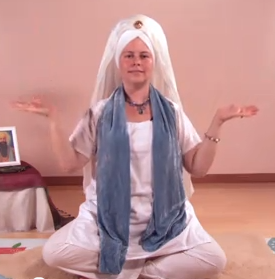 It is unique in that Yogi Bhajan did not specify exact mantras, mudras or movements to use for this type of meditation; a teacher or practitioner is free to create the movements him/herself. Celestial Communication works on the upper triangle – the 5th, 6th, 7th, and 8th chakras. The movement of the arms also affects and opens the heart, strengthens the aura, and magnifies your subtle and radiant bodies. By strengthening the aura and radiant body in Celestial Communication, everything can come to you and prosperity will will flow to you. The movement of the fingertips through the air during Celestial Communication increases your prana (energy), which connects with your neurons, and relieves the deep stress that accumulates in the brain. By experiencing this deep relaxation, anxiety subsides, and your natural state of innocence and creativity is renewed. This technology unifies your body, mind and spirit. All three are harmonized through the movement, and duality is removed. 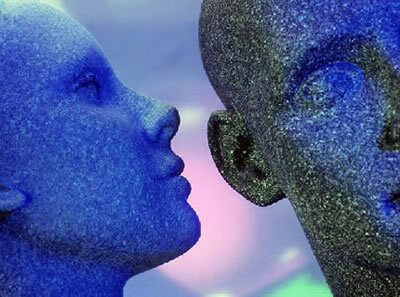 As the name implies, practicing Celestial Communication connects you to the Infinite and expands your relationship with your divine, angelic self. It is a beautiful way to connect to the sound current and to create and vibrate the music within you. Who can do it? How do they create a meditation or find one to follow? Everyone can practice Celestial Communication! Yogi Bhajan taught that in the future it would become more and more difficult for people to sit and meditate, and that Celestial Communication would be a wonderful way for people to experience the benefits of meditation. All ages enjoy this type of meditation – children, adults and older adults. People with disabilities or physical limitations, who may not be able to practice all of the yoga asanas, can also benefit from Celestial Communication. Anyone can create a Celestial Communication. My recommendation is to choose your favorite mantra or uplifting song. Listen to your chosen song multiple times and pay attention to the rhythm of the music, the lyrics, and if it is a mantra, look up the translation on Spirit Voyage’s Mantrapedia and study the meaning as well. Next, begin to move naturally with the music, without thinking about it too much. See what kinds of movement feel good to you with this music – it could be slow or quick, dynamic or flowing, simple or intricate. Contemplate again the meaning of the song and put it all together. For a mantra, you could have one set of movements that you repeat over and over again, or for a longer song with multiple parts, you can create a longer, more complex choreography. 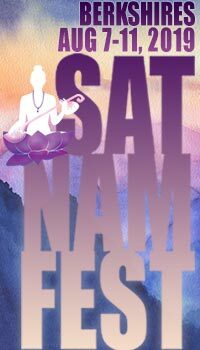 To see what kind of Celestial Communications have been created by others, or to follow one as a meditation, try Gurudass Kaur’s DVD “Mantras in Motion” and the videos that I’ve created with Yogamint, which you can find at www.yogamint.com and www.celestialcommunicationwithadarsh.com. What music is best for celestial communication? All mantras and divine, uplifting songs can work for Celestial Communication. You may want to start with a song that it is a mantra repeated over and over again, without too many musical interludes. These are usually the simplest to choreograph because you can create one set of movements and repeat it again and again. You can also experiment with creating different movement sections for the instrumental part of a song and the part with mantras or lyrics. 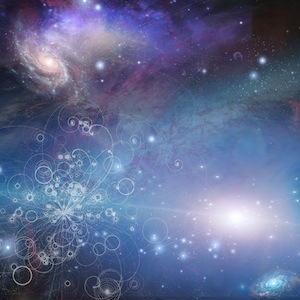 The earliest Celestial Communications created were actually to full length songs in English, with different movements for the chorus and each verse. Try it out and see where your creativity leads you! Sharing and teaching Celestial Communication is one of the best experiences of my life. I love to see others experience the benefits of Celestial Communication. And, I love to see the joy in their faces and their radiance shine. 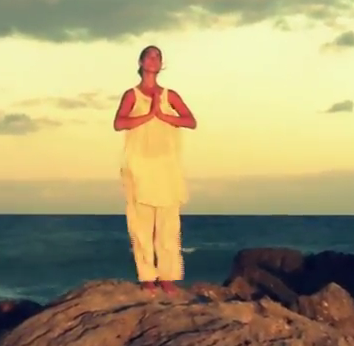 Click here to watch Adarsh perform Celestial Communication to “I Am What I Am” on Yogamint! Your Celestial communication class at the Solstice was one of the most beautiful experiences of my life, Ardash – Thank you. You explain everything so beautifully, Adarsh! And you sparkle while doing it!